our little nephew, tyler, turns 1 years old today! tyler is full of energy and VERY independent! he is always on the go. happy birthday tyler! hope you had a SUPER fun day today! we love you! 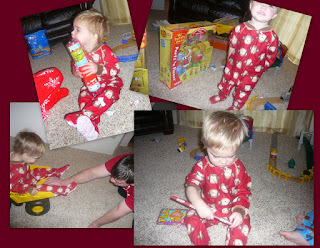 here are just a few more shots of the boys opening some gifts. hope you all had a great christmas! christmas morning the boys woke up at 7:30am! we couldn't believe it. they usually wake up around 6:30am. so, i guess that was their gift to us! we enjoyed our stocking and gifts from santa until breakfast was ready and then we took a break for some egg casserole. wesley enjoying his santa gift. owen enjoying his santa gift...and wesley admiring (good thing mom and dad had the intuition to buy wesley his owen geotrax train that he could use on owen's tracks)! after breakfast we opened the gifts from each other and from the grandmas and grandpas. we were spoiled! thank you! kevin also gave me some super festive, soft, and comfy jammies on christmas eve. and this is the best shot i could find. not too many pictures of the old people here. and kevin hates when i spend money of christmas pj's for him, so instead i bought him some nice comfy nike pants that he can lounge around in. again, the best shot i could find of kevin in his "pj's". 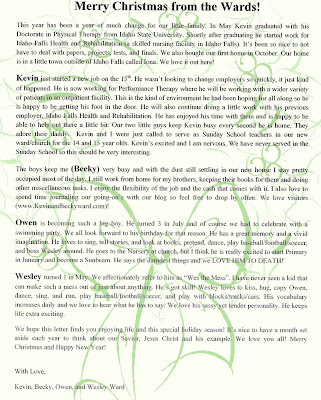 things have finally slowed down enough that i can sit and blog our christmas! and i must say it was one of our best ever. something about having to excited, anxious, little boys makes christmas so magical and fun! on christmas eve we went and enjoyed a delicious dinner at my grandpa freidenberger & shirley's home. this has been a tradition for as long as i can remember and so we look forward to it! thanks for the yummy food and great hospitality grandpa and shirley! then, we went over to my parents house for some eggnog, cookies, and a few quick games. 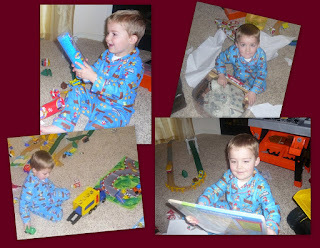 and the boys were able to open their present from grandma and grandpa manwaring. NEW PJ's! i have been excited about these for MONTHS. 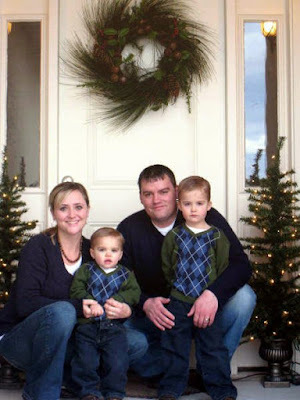 these boys needed new warm jammies and that is just what they got. thanks mom and dad! this is the best picture i could get of them in their pj's christmas eve! don't they look cozy?! also, once we got home we let the boys open a present from grandma and grandpa ward and then one from kevin. they played with these toys for awhile and then it was off to bed...and they went without a peep! our tree with gifts under it...finally. with two little boys we didn't pull any presents out until christmas eve. santa gave owen geotrax and wesley a black & decker tool bench. with saturday being the last byu football game and the day that we had scheduled our progressive dinner we had to make some adjustments. so we started early and instead of doing a progressive dinner we did progressive...snacking. first stop was in blackfoot at justin and amber's home. they fed us fried ravioli and steak, pork, chicken, and ham kebabs. they had plenty of food which is good because at the first stop we always eat ALOT. DELICIOUS! second stop, shelley, at emily and brandon's. they served bacon-wrapped water chestnuts and artichoke dip served with chips. YUMMY! third stop, back to idaho falls, at jarom and elena's. they served meatball subs with all the CHEESE you could ask for! SO FILLING! fourth stop, ben and kaylin's for shui jiao's (pot stickers). even though we were all stuffed to the max we still managed to eat the 100+ pot stickers they produced! TASTY! since my parents hosted the christmas dinner the night before we were kind enough to leave them off the rotation and made the final stop our house. we were in charge of dessert and served individual servings of chocolate passion bowls in champagne glasses...topped with maraschino cherries! and...of course i got the recipe from kraftfoods.com so check it out. it was so yummy. kick-off was at 6pm so we can only imagine how busy the ladies were entertaining 20 kids for four hours. 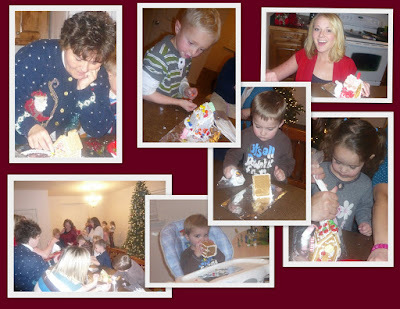 the night before we got together and built 21 graham cracker houses for the kids to decorate and the work paid off. they took great pride in their little houses! and the clean-up wasn't even close to how bad i feared it would be. afterwards, grandma surprised all the kids with a new game, horton hears a who! and aunt nat was kind enough to lead this rowdy crew in a round or two. what a fun and exhausting weekend! most years we have done our christmas nativity and progressive dinner in one evening. but, this year, we decided to extend the manwaring christmas festivities into two nights rather than one. 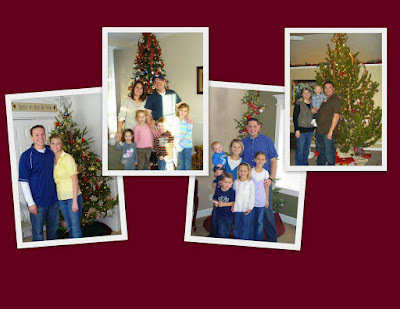 and this year we were lucky enough to have the utah families join in the fun (hollingsworth's and murdoch's). 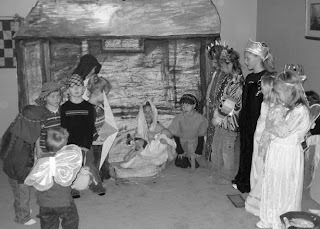 so, friday night we all met at my parents for a christmas dinner and nativity. grandpa freidenberger & shirley, and grandma manwaring also joined us. this year we celebrated our german heritage...my grandpa freidenberger (mom's dad) is 100% german. mom made us homemade chicken noodle soup with butterballs and rivvel kucha for dessert. this is the meal her great aunt anna talks about eating for christmas dinner in her life history. after dinner mom told us a little more about her great aunt anna's christmas traditions and then we learned the song stille nacht. mom gave each family a bundle of christmas candles and candle holders (made in germany) for us to put on our trees...another german tradition. 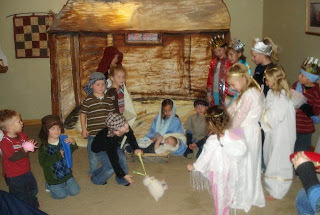 then...it was off to production to put on our christmas nativity...with 18 out of 20 grand kids playing a role! wesley was the most adorable donkey. although he liked the costume, he didn't care much for the play. owen was the most handsome shepherd. now, every time he hears a christmas song that talks about shepherds he says, "mom, i know all about shepherds!" the boys have really gotten into hide 'n seek lately. wesley prefers to stay and count rather than hide. he's pretty good about not peeking and even "counts". happy birthday to my niece, ellie! she turns 8 today! ellie is so smart, beautiful, quiet, and funny! happy birthday ellie! we can't wait to come to your baptism. 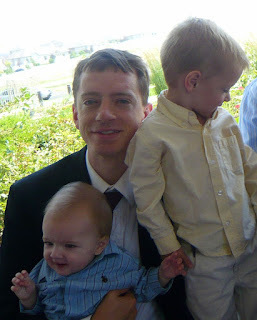 my "little" brother ben turns 27 today! happy birthday ben! ben is ALWAYS up for a good time, good food, or a good movie! he is a MAJOR scouter and his ward and our family are always benefiting from his skills. ben is also a great cook and always ready and willing to share that skill as well. hope you have a great day celebrating today! we love you ben! happy birthday! yesterday i received some jute rugs i had ordered from my mom and i can't believe what a difference a rug makes! i am pleased as punch! merry early christmas to me! happy birthday to my nephew, kimball. he turns 4 today! 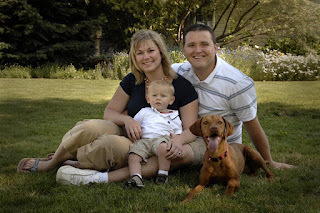 i had to steal this picture from my sister-in-laws blog because we never get to see kimball. hopefully we can see you this coming summer. hope you have a wonderful day today kimball! happy birthday! we love you! this morning we woke up to snow. i hope it stays! and of course, the first thing the boys wanted to do was put on their snow gear! saturday we had kevin's brother and his family (sam and lisa) over for the night...so we had four little boys running around! the cousins had fun playing with each other. 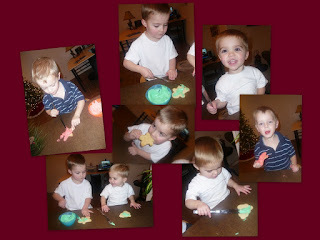 and it was even more fun when we pulled out the cookie cutters. owen, wesley, and brian showing off their mad skills! i ALSO love celebrating my dad's birthday for other reasons too. it's a great time to reflect on how wonderful he is and how fortunate i am to have a father like him. elena did something fun on her blog and i decided to play along. 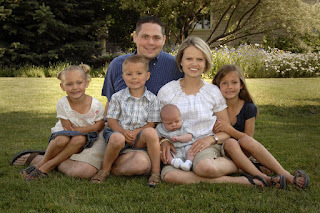 i have to come up with 10 things i am thankful for that start with the letter H.
1. a heavenly father who loves me. 7. housework-free exercise during the day that also plays a key role in my stress management. 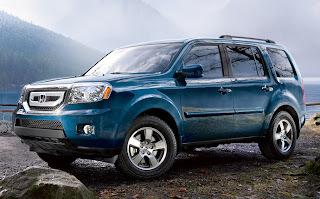 8. honda...2009 pilots to be exact. i LOVE them! i want one! 10. hymns-singing one can make-over your day.